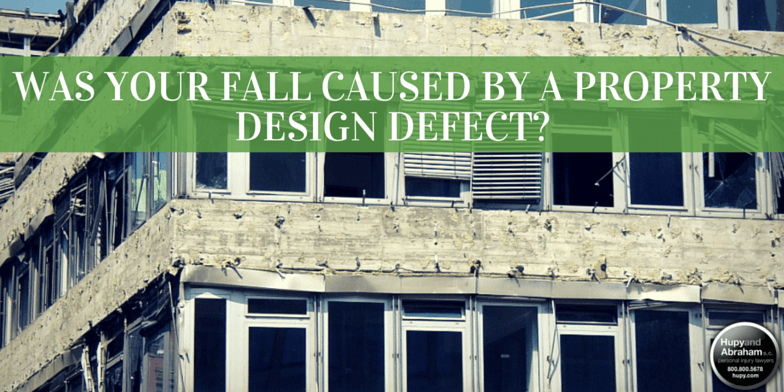 Unsafe Property Design Leads to Slip and Fall Injuries | Hupy and Abraham, S.C.
Could Your Fall Injury Have Been Caused by a Defect in How the Property Was Designed? The condition that caused you to slip and fall may have been present since the property was developed. While building codes and common sense often result in safe buildings and developed properties, a bad property design can be dangerous. Don’t wait to find out if an unsafe property design caused your injuries. Instead, find out what you can do to protect your rights before your time to file a lawsuit expires. Inadequate lighting. If not enough lighting is installed for you to clearly see fall hazards, then that may have been the cause of your fall. Failure to install a handrail. Handrails are required in certain areas, such as next to staircases. If a handrail was not installed and might have prevented your fall, then you may have a claim. Shoddy construction. If the property owner authorized or knowingly allowed shoddy construction materials to be used when the building was built and it was the poor quality of the construction that led to your fail, then you may recover for your injuries. Stairways do not have the proper landings, are too narrow, or have other issues. Local ordinances are specific in the height, length, and location of stairs and landings. Property owners who build staircases without the proper permits or inspections may be liable for your injuries if you are hurt. Improper drainage. Some properties require adequate drainage due to their location or use. If you are hurt on a wet and slippery floor that may have been prevented with adequate drainage features, then you may have a claim. Other factors unique to the property. Every property is unique and there are many design factors that could help you stay safe. In order to recover damages, however, you will need to prove that the condition was unsafe and that it was that condition that caused your injuries. Before you can recover damages, you will need to prove that the property owner is liable for your fall and your injuries. You will need evidence to support your claim. Things such as pictures, building plans, the local building ordinances, and witness statements may be important to your recovery. An experienced slip and fall lawyer can help you gather and analyze the evidence and, if appropriate, pursue a legal recovery. To learn more about how to protect your rights, please call us at 1-800-800-5678 to schedule a free consultation. Where Do Wisconsin Slip and Fall Accidents Happen? ?I have developed blood clots after being injured in a slip and fall accident. Can you tell me what types of blood thinners will be used for treatment? ?Can eye injuries result from fall accidents? ?What should I do if I suffer a facial or dental injury in a slip and fall accident?